A little while ago I made the very tough decision to leave the Visible Image design team. I have been on the team for just over 2 years and can honestly say I have had a ball. Helen and Mark are the most generous, kind, caring and awesome people to work with. Not wanting to go into too much detail 2015 was not a good year for me. I struggled through it and part of my 'therapy' was to spend as much time as possible in my craft room. 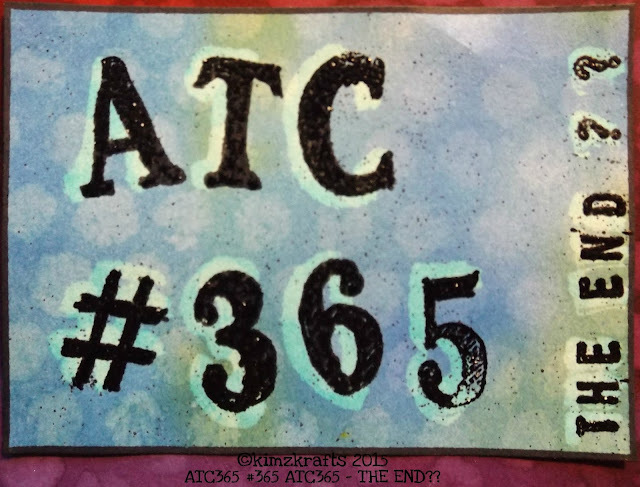 I had already embarked on the ATC365 thing when my world collapsed around me. 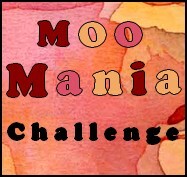 It was this personal challenge and my DT work that kept me going. It gave me purpose and a reason to sit engrossed in my crafting for hours on end. Now I am on the other side of all the drama I feel I don't belong in my craft room any more. Does that make sense? Looking back at some of my projects with the Visible Image design team I remember my very first piece like it was yesterday. 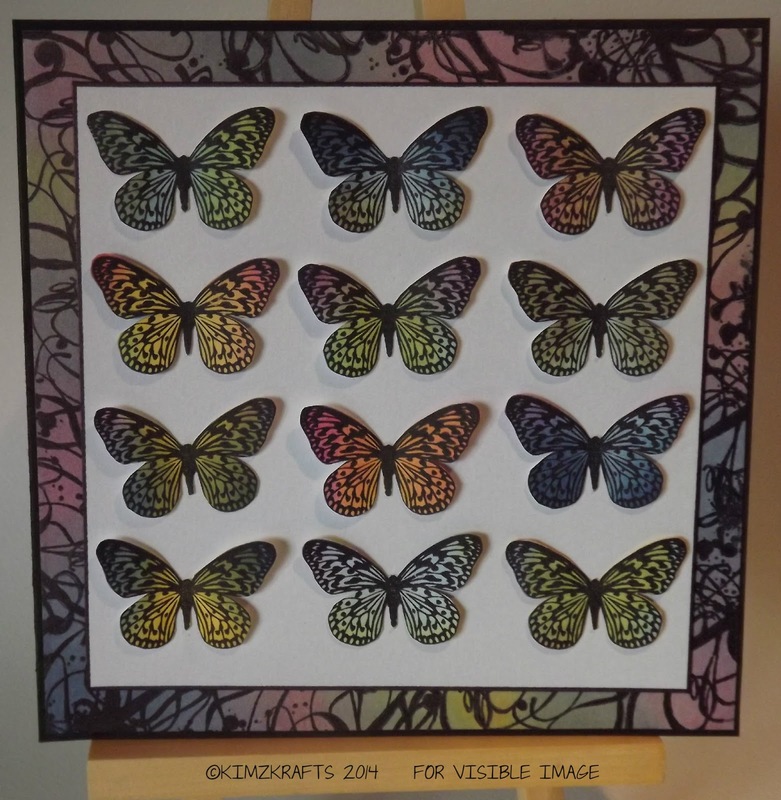 The butterfly stamp is one of my favourite Visible Image stamps. I have used it more than any other Visible Image stamp. 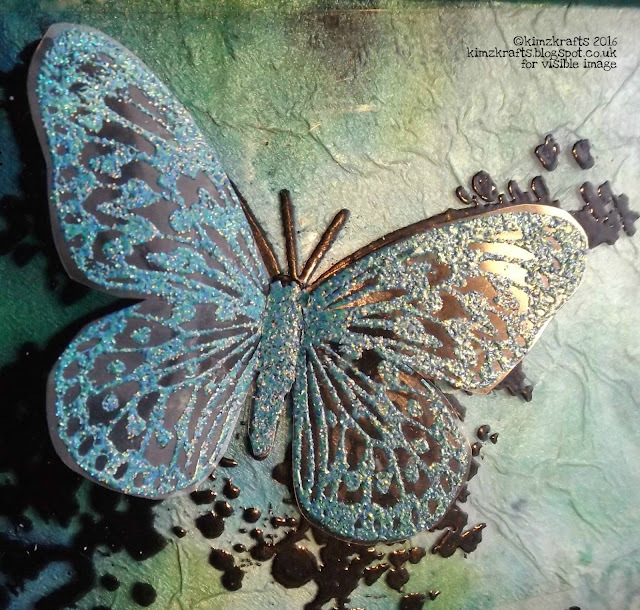 I often added it as an embellishment but the card on the right is probably my favourite project which used the butterfly as the main feature. I also did a tutorial on how to colour the butterflies which you can find HERE. As my time with Visible Image progressed so did the amazing range of stamps Mark designed. I am going to miss seeing his brilliant and innovative designs before anyone else does! That was another thrilling part of being on the DT, seeing things being developed. Mark would often tease us with fragments of a design or give us words as clues to his latest creative thread. He would never disappoint! Then there were the opportunities for my work to be seen on TV! I know it wasn't my first time on a crafting channel but it was still a thrill none-the-less. 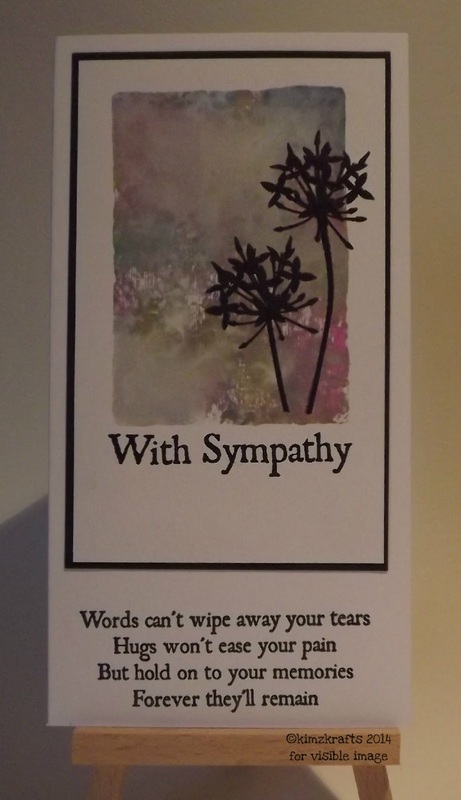 This sympathy card was much admired by the presenter of the show it was on. 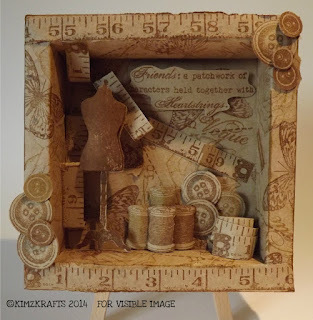 Projects like this shadow box, made from an empty chocolate box and cheap brown paper, were so exciting to make and the feedback was always a delight to hear. As I said earlier, 2015 was a terrible year for me but 2016 is already shaping up to be an amazing year of new projects, new hobbies and a new found zest for life. I intend to enjoy my future trying new things and generally indulging myself in things that make me happy. That doesn't mean that I am finished with crafting nor does it mean I am not going to be seen around the Visible Image camp. Oh no! I intend to stay in touch with everyone I have met through Visible Image and who knows, one day I might apply to be on the team again! I would like to thank Helen and Mark for all their support through 2015, and also all the lovely DT members, you have all been amazing! Thanks also to all of you for following my blog. 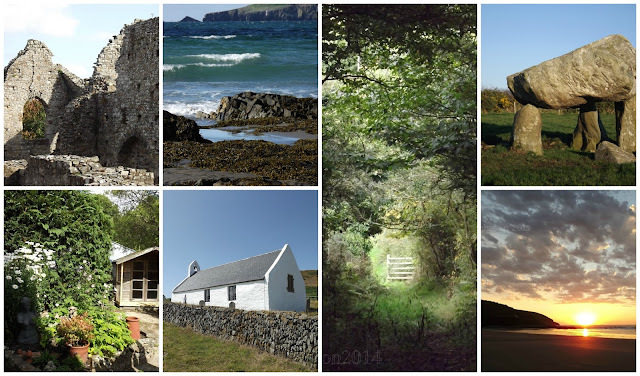 I hope my projects have inspired you? Take care, much love to you all. Hello all you lovely people! Good to see you again! The guys at Visible Image have had a busy few weeks. new MDF Monoliths as well as the new stamps. Then they had to get all the pre-orders out of the new stamps. And then there was the Trade Show this weekend. 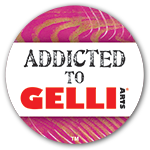 and see what we have been up to with all the fab new stuff! 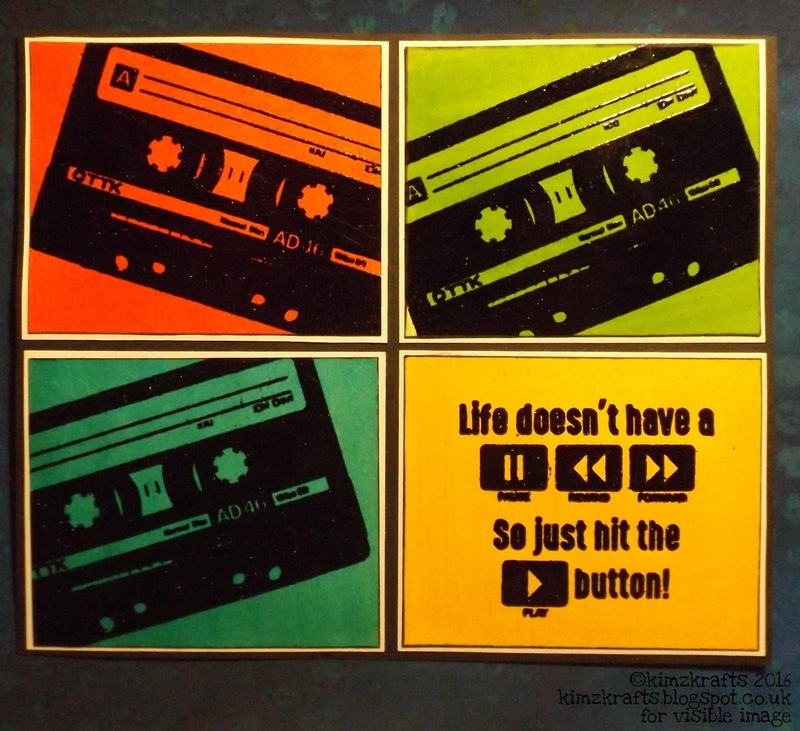 From me this week is a piece using the amazing cassette stamp. 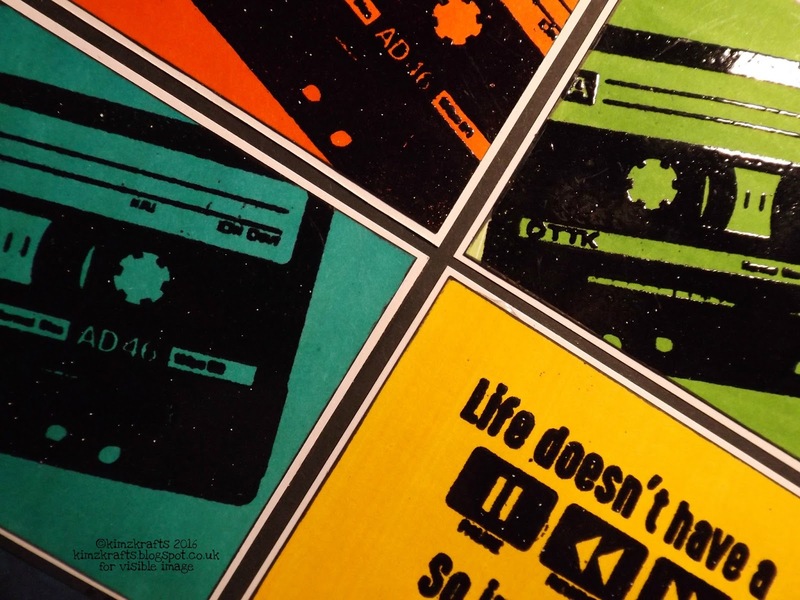 I love the pop art look and this stamp lends itself to this style really well. I started by painting some white card with these zesty colours using Brusho paint and when it was dry I stamped and embossed the cassette image with black powder. I based the size of the cassette squares on the final size of the sentiment and cut everything at an angle to add interest. onto white card, then each piece was added to the base card. See you soon for another Marvellous Monday and in the meantime enjoy your week, get crafty and show us what you have been up to! 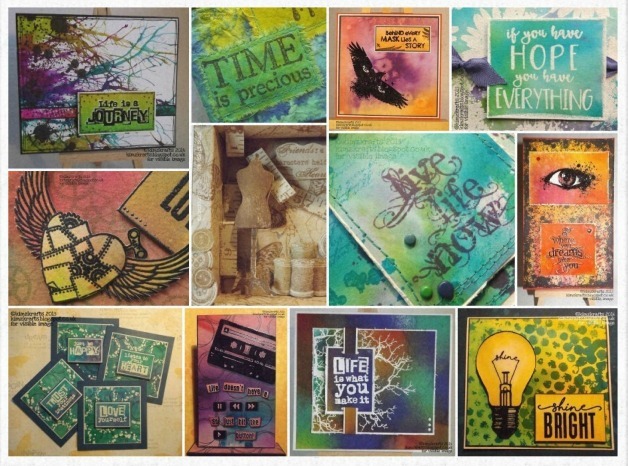 How wonderful are these new stamps from Visible Image? 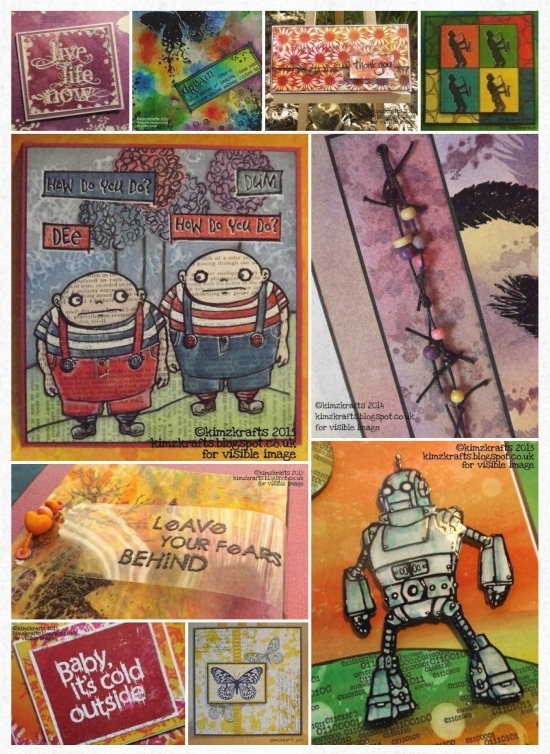 Over the next few days you will be able to check out the DT samples on their blogs. Look over 'there' on the left, to find the links to all the blogs. 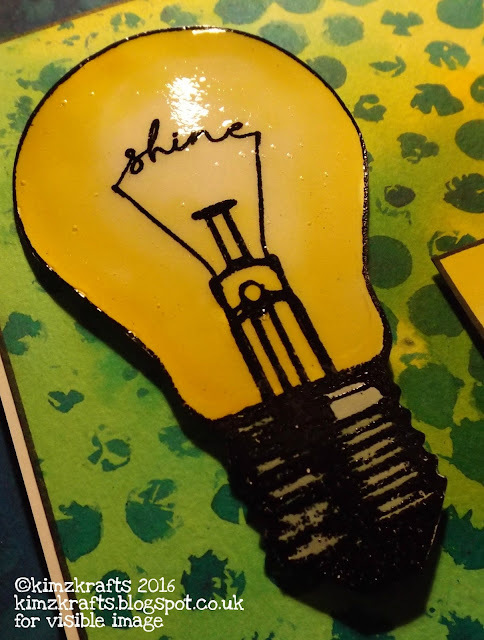 My make this week uses the totally brilliant light bulb. I used Brushos (do I use anything else?) 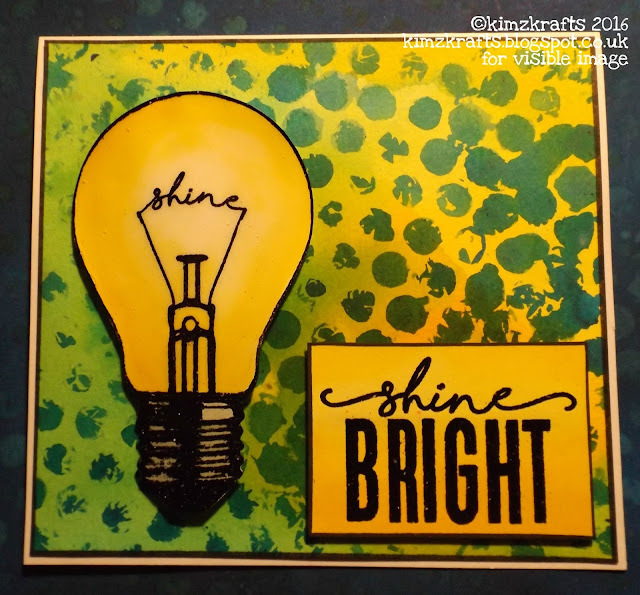 to make the background in shades of green and yellow along with the Grunge Polka Dot stamp. 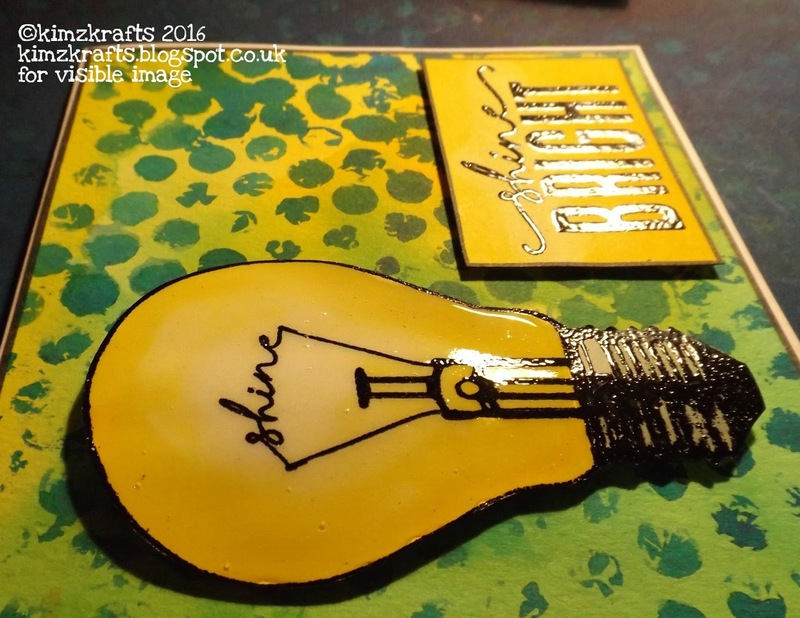 Using black embossing powder I then stamped the light bulb onto white card which was then coloured in using yellow Brusho. 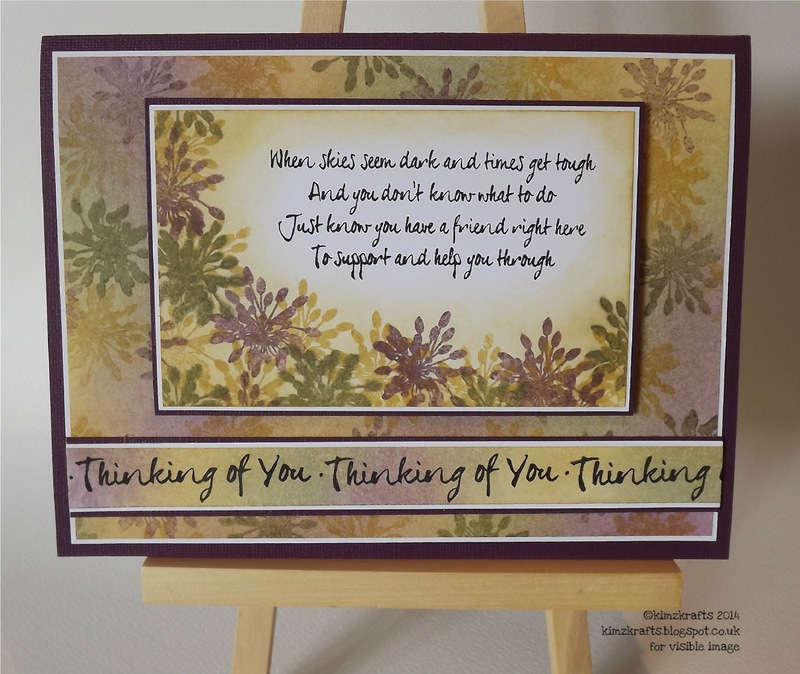 The sentiment was stamped onto yellow card also using black embossing powder. I glazed the light bulb once I had cut it out, using a glazing liquid. I have some very old Diamond Glaze but you could do it using clear embossing powder I suppose. How have you been since my last Visible Image posting? Nearly at the end of January already! eeeek! as well as some of the brilliantly versatile background stamps. As is usual for me I started colouring some white card with Brusho paints. I just love the zesty lime alongside the hot orange. I used bleach - yep, bleach - with the plasma squiggle from the Universal set. Visible Image stamps are made with top quality photopolymer and I haven't yet had any problem using bleach on them. 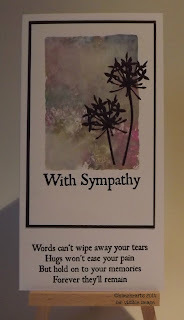 I do still err on the side of caution and wipe my stamps straight away with a baby wipe and then after the crafting session I wash them in warm water before air drying and storing back in their pockets. Anyway, squiggles done, I then used a blended ink pad in shades of green with the spotty plasma circle from the Universal set directly over the top. 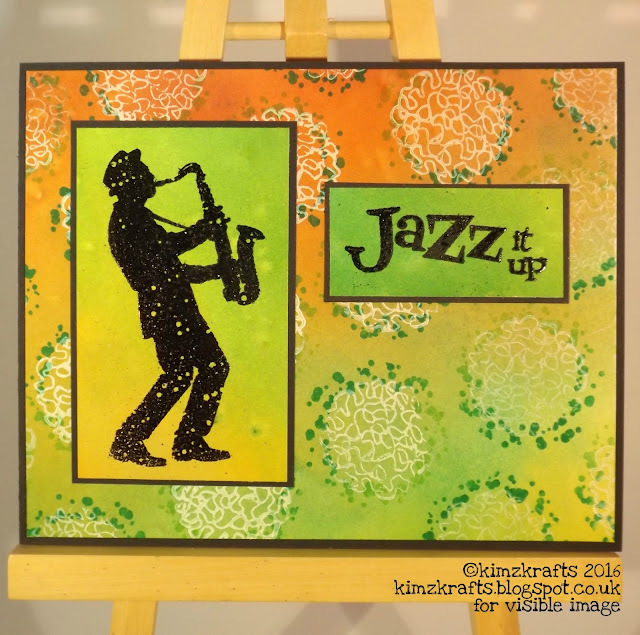 Using black embossing powder I stamped the jazz player and the sentiment onto pieces of card that would contrast well when added to the background card. 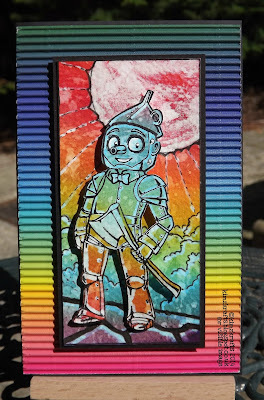 Here are the stamp sets I used for this card. Is it too late to wish you all a HAPPY NEW YEAR? No, of course it isn't! I hope that you all made it happily into 2016? 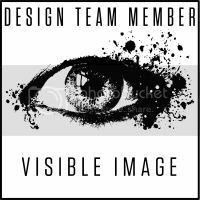 As you may have noticed there have been some additions to the Visible Image design team following a DT Call late last year. Poor Helen and Mark had a really tough time selecting the successful candidates, the submissions were phenomenal. 2016 will see even more fabulous new stamps and stuff (yes, 'stuff', but I am not allowed to expand on that just yet) coming from Visible Image. You are going to have to watch this space. Top tip: head over to the Facebook group and you will hear all the latest news as it happens. Right, on to my first project for 2016. I am known for my hoarding of useful bits and pieces and I have used an empty chocolate box tray for my piece today. Naturally, I forgot to take a 'before' shot. I started by covering the whole thing with a layer of tissue paper just t block out the dark printing on the original box. I used a 50:50 mix of water and PVA glue. Next I coloured some more tissue paper with Brusho paints in shades of blue, teal and lime. When all the pieces were dry I smothered them with more of the glue/water mix and pasted them onto the box. I deliberately made wrinkles and folds to add interest. I waited for this to dry completely and then used a PVA glue with a mica content as a top coat. I have had this glue for years, no really, years and I am not sure where I got it from. I suppose you could use mica powder or a mica mister to add the sheen. Experiment! That is what it is all about. Just to add even more shine, I applied some silver gilding ax very carefully to the raised folds and wrinkles around the frame. 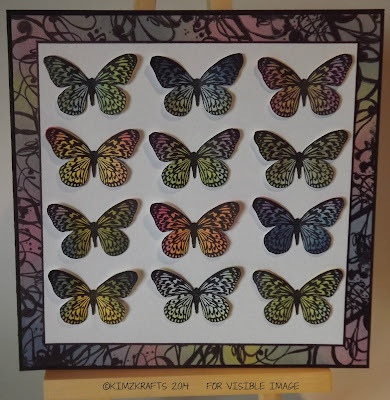 Using black embossing powder I then stamped the INKognito butterfly onto a piece of heat resistant acetate the was cut to fir exactly into the frame. 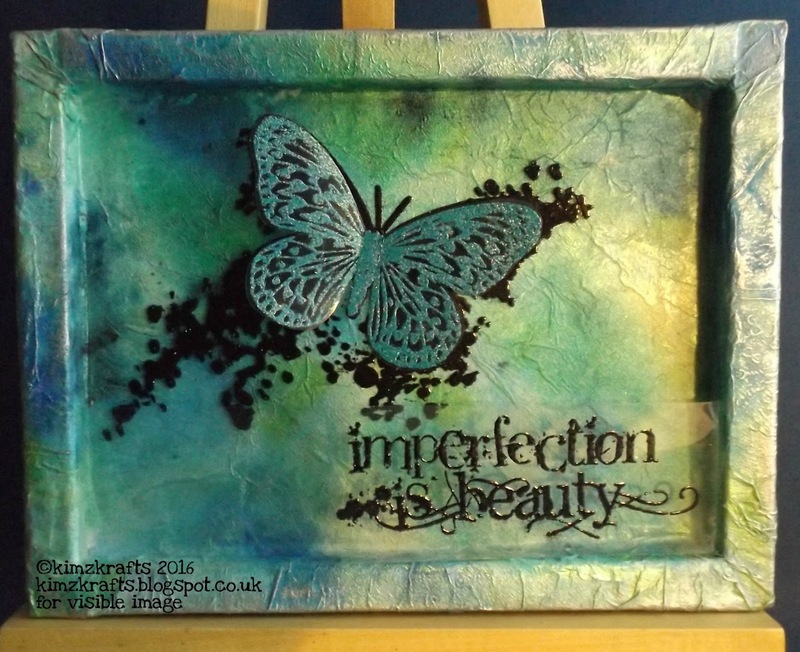 I also stamped the sentiment in black and a normal butterfly with a teal sparkle embossing powder onto more pieces of acetate. The butterfly was cut out and stuck over the black one using a clear silicone gel. The sentiment was stuck along the bottom of the frame attached to the sides. This was a long project as there was a lot of drying time but sometimes it is nice to do something that isn't instant. See you in a fortnight for another Marvellous Monday and in the meantime enjoy yourself, get crafty and show us what you have been up to! ATC365 #365 THE END ?? 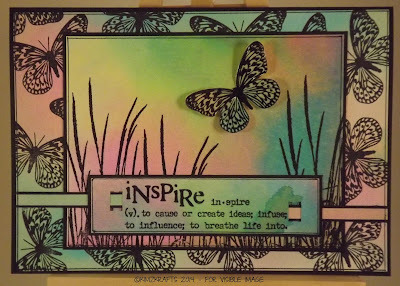 #365 in the series of ATCs. OK, so some days I missed the deadline. 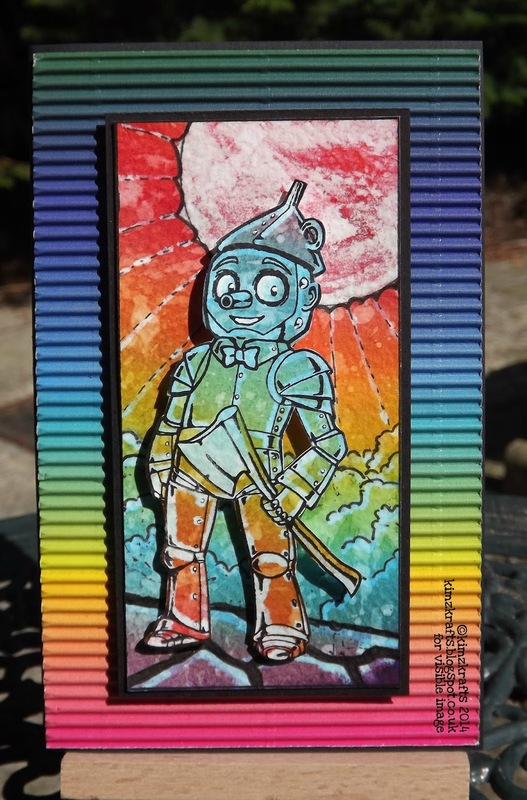 365 ATCs, one for every day of the year 2015. It hasn't been the greatest of years. I hope that 2016 is kinder to me. 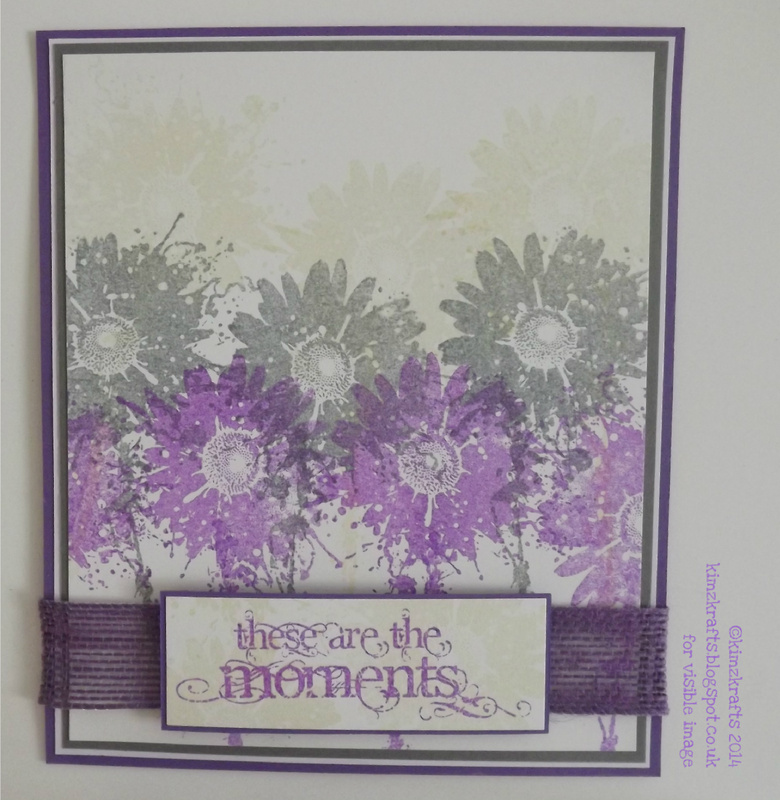 Here it is then, my last ATC. So, is it the end? I think for the ATC365 project it is. Is it the end of my artistic challenges? I have yet to think of a suitable project but there will be one. Well, here we are, last but one ATC in this epic journey.